Identification: Both upper and lower sides are shining white, with few brown markings. 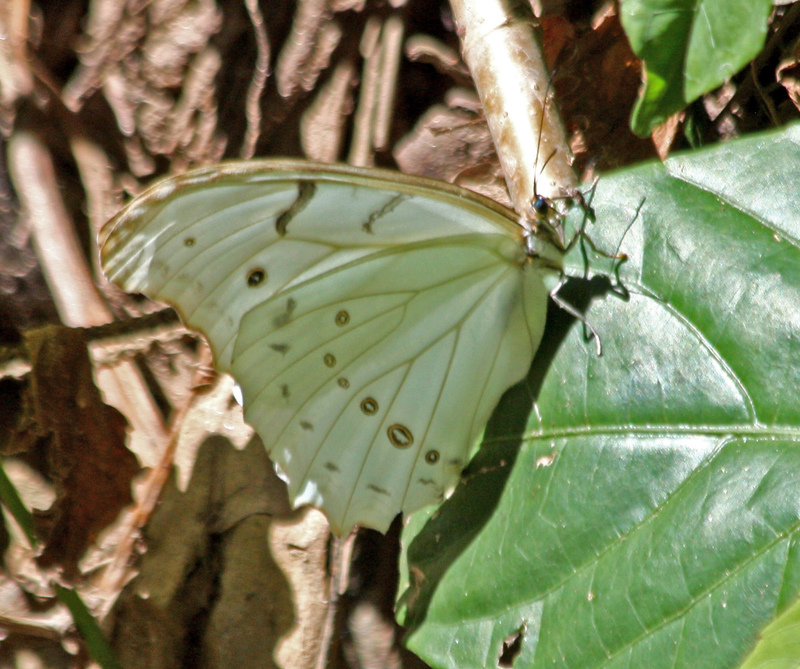 Underside of hindwing has a row of small eyespots. Life History: Eggs are laid singly on host plants. Caterpillar Hosts: Paullinia pinata (Sapindaceae); Inga (Fabaceae). Habitat: Tropical premontane forests with a distinct dry season. Range: Costa Rica north to Mexico. A rare stray to southeastern Arizona. Conservation: Not required for rare stray.